We’re the partner you want when you need the job done right — the first time. Our reputation for quality is backed up by decades of experience. Our work doesn’t just leave clients satisfied — it exceeds expectations. And our 95 percent client referral rate is one of the highest in the industry. Whatever challenge you’re facing, we can handle it. Let’s talk it over and make a plan. Summer Consultants, Inc. is a leading small business MEP/FP consulting firm specializing in government, institutional, and higher education clients. We solve complex engineering challenges with exceptional efficiency and skills. See what we’ve been working on. Up for the challenge? Come work with us. But for us, it’s just what we do. 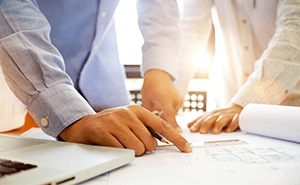 And while the work may seem complex to some, our elite team of MEP/FP consultants have the qualifications and experience to navigate even the most complicated engineering project with confidence and clarity. 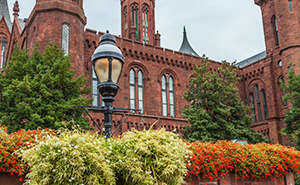 Whether we are working in older federal buildings, or updating occupied historic properties, or modernizing university facilities – we tackle projects that other firms struggle with. That’s just one way we’ve built a reputation as one of the most efficient and reliable MEP/FP consulting firms in the business. In fact, Independent research revealed that 95 percent of our Government, Institutional, and Higher-Education clients refer us to others. That’s because they know they can count on us as the safe choice when there’s little room for error. It’s also why our clients tend to hire us again. When you need an engineering team that only gets stronger under pressure, Summer Consultants takes MEP/FP to a higher level of performance.